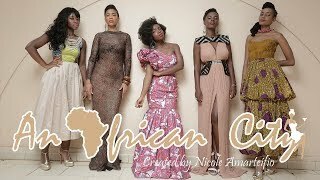 Watch these episodes first 1, 2, 3, 4, 5, 6, 7 and 8, before watching this 9th episode of the popular internet soap opera, 'An African City'. In this 9th episode titled '#TeamSade, #TeamNgozi,' Sade, Zainab and Ngozi date members of parliament and get the shock of their lives, while Makena meets up with an old flame and finds herself practicing abstinence (albeit by default). What are your thoughts about abstinence? Are you #TeamSade or #TeamNgozi? Why?